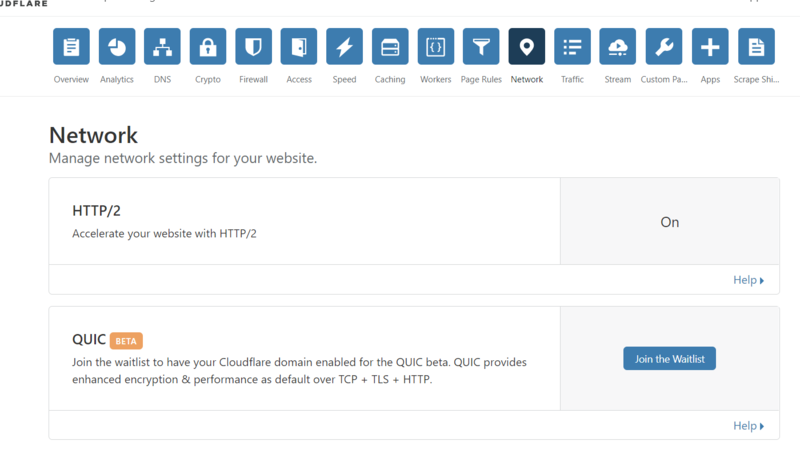 How to get early access to Cloudflare QUIC? Want early access to Cloudflare QUIC protocol? Go to the Network tab, then click “Join the Waitlist”. Why is this exciting? It’s because QUIC protocol was previously not available with Cloudflare…and if you wanted it, you had to disable Cloudflare’s performance/security features.